Transformer oil testing. Technical requirements for transformer oils are stated by the standards. At the same time, these standards do not directly regulate the moisture content of oil. The regulation in this case is done indirectly by a number of parameters, such as density, flash point, viscosity, content of KOH, dielectric strength, and others. 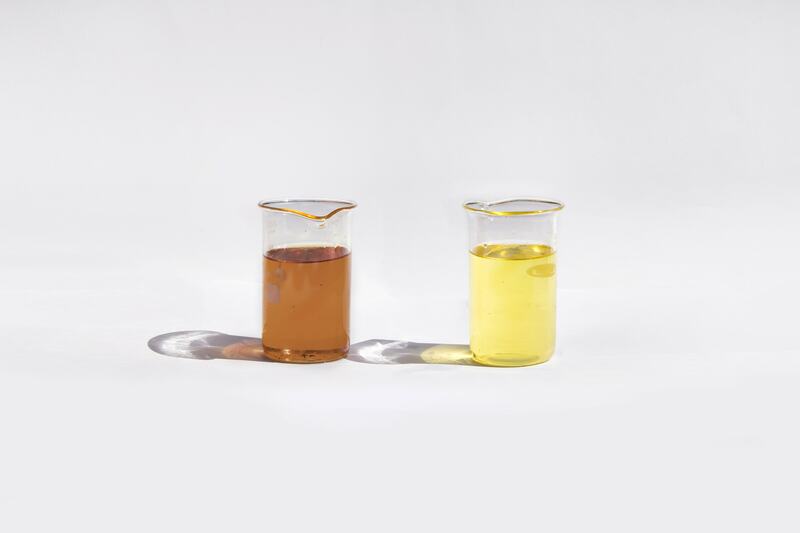 The moisture content in insulating oil is now determined by a visual inspection, calcium carbide method and liquid chromatography method, known as the Fischer method. The first method is purely subjective and only allows to determine the fact of moisture presence in transformer oil. Other methods are rather cumbersome and time-consuming and require oil sampling. At this moment, there are no direct methods for determining the intensity of aging of insulating liquid. Therefore it is necessary to use indirect methods of oil condition monitoring such as estimating oil absorption capacity, conductivity, polarization or ionisation. The oil is rejected when its parameters exceed the specified values. The new methods to control the level of moisture in the isolation without switching the equipment offline improve the efficiency of diagnosis, and make the monitoring process more automated.